History :: A Fantasic location for golf, events, room hire and more. why not visit Nottinghamshires most historic 18 hole course today. By way of introduction, Bulwell Forest Golf Club originally became a Club in 1889 known as Notts Golf Club. The course started out as Notts Golf Club in 1889 as a six hole course, then an additional three holes were added in 1890 and the final nine in 1894. Players would store their clubs in the station house under the stairs. J.H. Taylor a 5 times Open Champion recorded a 75 on the course in 1895. Bulwell Forest Artisans were founded the same year. The original Clubhouse was previously "a shed" across the road, not the brick construction that is present today. In 1900 Harry Vardon played the then Golf Professional Tom Williamson in a match which he won by 2 holes. He commented after playing the course that there were too many gorse bushes and the course was too narrow. Since then a large proportion of that gorse has gone but there is still enough to catch you if you are not careful! 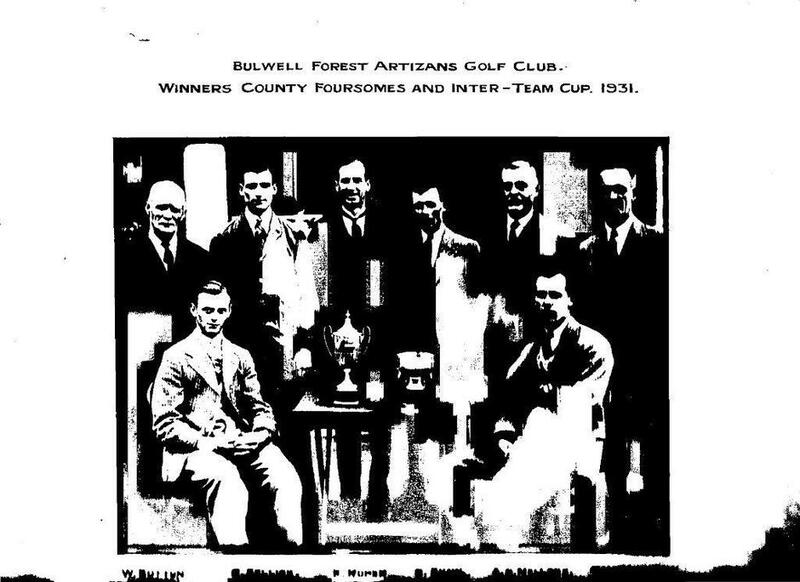 In 1902 Bulwell Forest Golf Club was formed as Notts Golf Club had relocated to Hollinwell. Nottingham City Council built the present Clubhouse in 1906 and purchased an unused cricket pavilion which they built next to the Station Masters house and handed it over to the Artisans which was used by them up to the amalgamation of the two factions of the club in the early 1960's. This was then taken over by the ladies and replaced by an extension off the side of the Clubhouse as it is to this day. Bulwell forest Golf club is proud to confirm that it is known as the best winter playing course in the County. In summer the course provides a challenge due to its narrow fairways and numerous trees.